Autocratic Arab governments are responsible for fueling anti-Muslim bigotry through the alliances forged with far-right groups in the West promoting hate against Muslims, according to a report. Although the political agenda of Middle Eastern regimes and far-right groups are not always compatible, they find a common middle ground for their own interests. For instance, Arab governments spend millions of dollars on research to shape Western thinking about domestic political activists opposing their rule, some of whom are religious, a Foreign Policy report published on Saturday said, adding that "they elicit sympathy from the West" by claiming to also suffer from the malice of radical terrorists and offer to work together to stem the ideological roots of the threat. The report notes that Arab regimes employ scare tactics to exaggerate the threat and "create an atmosphere in which an alternative to these regimes becomes unthinkable from a Western policy standpoint." This rhetoric also allows these regimes to crack down on dissent under the name of terrorism. For instance, the former Ku Klux Klan leader David Duke had expressed support for Syria's Bashar Assad during a visit to Damascus in 2005, disregarding the autocrat's oppression against the Syrians. "Assad is a modern day hero standing up to demonic forces seeking to destroy his people and nation – GOD BLESS ASSAD!" he wrote in a tweet in 2017. Other far-right figures have also expressed support for the ruthless dictator, who murdered hundreds of thousands of Syrians and left many without homes. 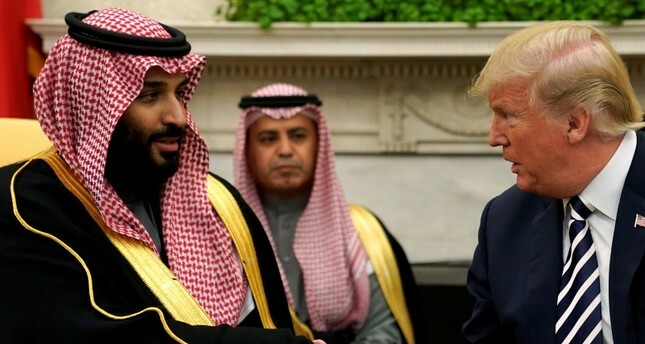 Saudi Arabia, on the other hand, also turned to the far-right for support after Western countries became critical of the kingdom for responsibility in the Yemen war, imprisonment of women activists and the brutal murder of Washington Post columnist Jamal Khashoggi in the kingdom's consulate in Istanbul. The report notes that while left-of-center politicians push for resolutions against the kingdom, the right-wing politicians oppose them. General-turned-President Abdel Fattah al-Sissi, who carried out a military coup to topple Egypt's first democratically elected President Mohammed Morsi, also employed similar techniques to promote himself. "A statement he made in 2015 about the need for an Islamic reformation to review, and presumably discard, centuries-old Islamic traditions became heavily cited by his defenders in Washington and other capitals," the report said. None of the Western countries criticized the military takeover in Egypt, which was followed by a heavy crackdown on protesters, as well as capital punishment for dozens of people.